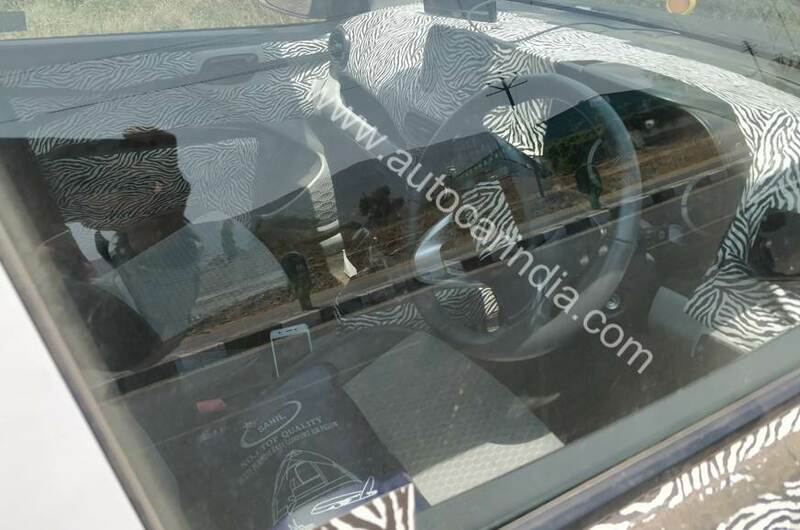 Fresh spy shots of the 2019 Hyundai Grand i10 have surfaced online, one of which gives a glimpse at the interior. The redesigned model is still about half a year away from being officially revealed. The all-new Hyundai Grand i10's interior features should include a floating-type touchscreen infotainment system, multifunction steering wheel, automatic climate control, rear AC vents and a cooled glove compartment. The interior of the 2019 Hyundai Grand i10 looks more spacious than that of the current model. This is primarily owing to the more space-efficient dashboard and slimmer seats. Speaking of the seats, they feature adjustable headrests, which is in contrast with the integrated headrests setup of the last two generations. The instrument cluster has a conventional two-dial arrangement, while the gear lever has been borrowed from the Santro. The range-topping configuration is expected to include a 7.0 or 8.0-inch touchscreen infotainment system and a more sophisticated instrument console. Aesthetically, the 2019 Hyundai Grand i10 will feature an upswept beltline, signature cascading grille, a bold-looking bumper and angular foglamp housings similar to those on the 2019 Elantra. As is the case with the current generation model, the Indian-spec version will likely have a longer wheelbase than the European counterpart. The 2019 Hyundai Grand i10 will be underpinned by a repurposed version of the current model's BA platform. Powering the new vehicle will be a BSVI-compliant version of the current 1.2-litre Kappa petrol engine. The fast dwindling demand for small diesel-powered vehicles and the high investment needed to achieve BSVI-compliance could lead to the discontinuation of the 1.2-litre U2 CRDi oil-burner. The petrol engine will come mated to a 5-speed manual transmission as standard, but the 5-speed Smart Auto automated manual transmission that debuted in the 2019 Hyundai Santro should be available optionally. The 2019 Hyundai Grand i10 will be underpinned by an updated iteration of the current model's BA architecture. It will draw its juice from a BSVI-compliant 1.2-litre Kappa petrol engine. The next-gen Grand i10 will reportedly launch in October 2019. The new version of the company's Maruti Swift rival will be the third all-new Hyundai model to launch this year. 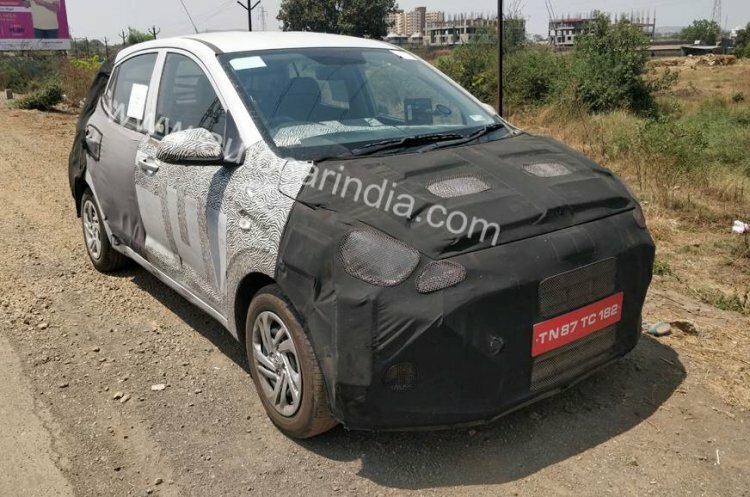 The launch of the 2019 Hyundai Grand i10 will follow that of the Maruti Vitara Brezza-rivalling Styx (QXi) and the Kona EV.